Some of the blocks extend north of the 74th parallel. Norway announced the opening of nine new petroleum exploration licenses in the Barents Sea, including some areas near the protected waters off Svalbard and Bear Island. The opening is part of the country’s 24th license round and includes the biggest ever opening of acreage this far north. 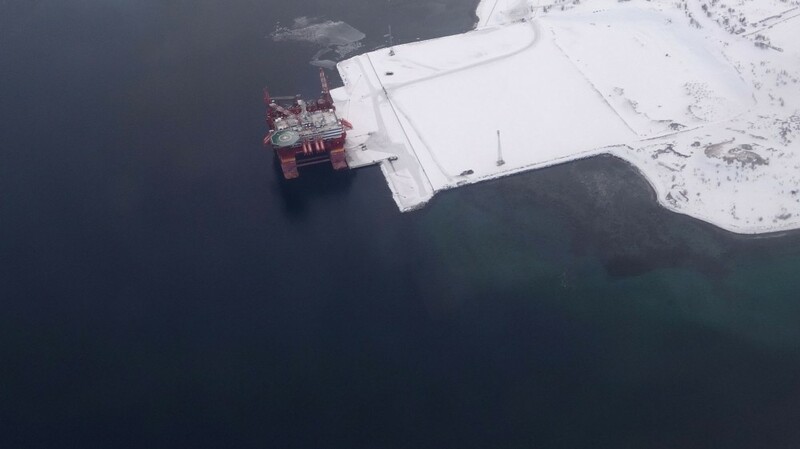 “The opening of new exploration acreage is a precondition for reaching the targets in our petroleum policy,” Norwegian Minister of Petroleum and Energy Terje Søviknes explained as he on Monday announced the new Arctic offer to the oil industry. Of the nine new licenses issued in the Barents Sea, three stretches north of the 74th parallel. They include a total of six blocks. Another 27 blocks are located on the 73rd parallel. The oil companies will now be allowed to drill closer than ever before to the protected Svalbard zone, as well as the nature reserve of the Bear Island. AkerBP will receive most of the new northernmost blocks. The company holds the operator responsibility in two of the three licenses and is owner of a 40 percent minority stake in the third. The other companies with license stakes in the area are Equinor (former Statoil), Lundin, OMV, Spirit, DEA, Wintershall and Petoro. 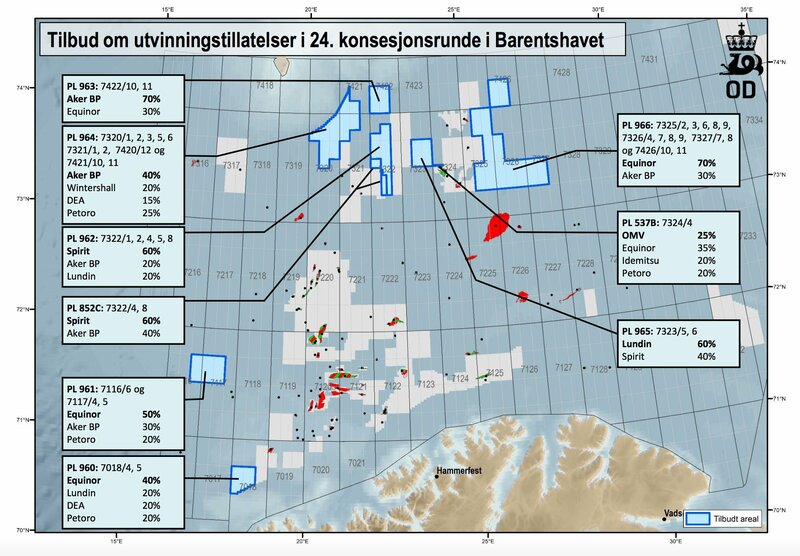 The Norwegian Petroleum Directorate believes that the 24th license round could offer major new discoveries. “Our analysis shows that the biggest undiscovered resource potential on the Norwegian shelf is in the Barents Sea [and] we believe that this is the area where big discoveries are most likely,” says Director Exploration Torgeir Stordal. The new licenses are not well received by the environmental organizations. According to Silje Ask Lundberg, leader of Friends of the Earth Norway, the 24th license round is a violation of the government’s obligation to save vulnerable areas. “The oil policy of the government is a catastrophe for the climate and our valuable ocean areas,” she says in a announcement. The environmentalists argue that the Norwegian Polar Institute and the country’s Environmental Agency have warned against opening many of the new blocks and that consequences for sea birds in the area could be grave. “This license round should never have been held, […] the drilling will be a major threat to sea birds and the nature in the High North,” Ask Lundberg underlines.